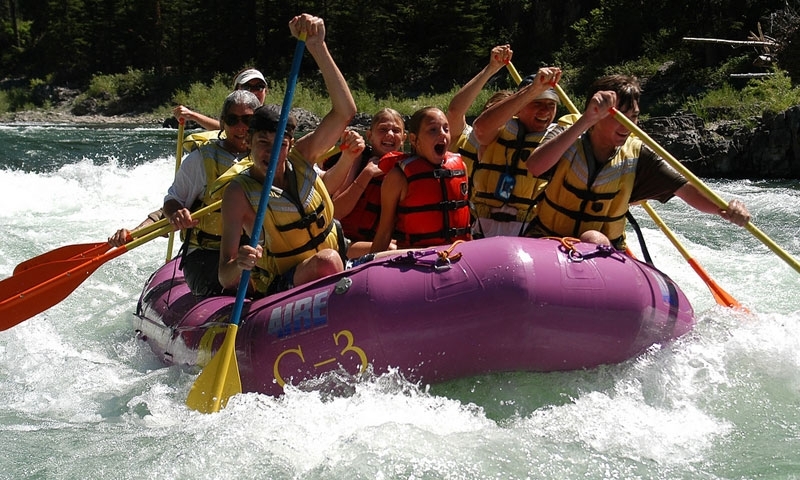 Home to some of the best white-water rafting in the U.S., the Snake River Canyon’s scenery and waters are unrivaled. The biggest fish in the Snake live in the Canyon. 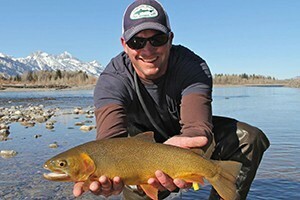 We'll get you in position to catch one of Wyoming's finest trout. Wade or Float fish, call today for availability. 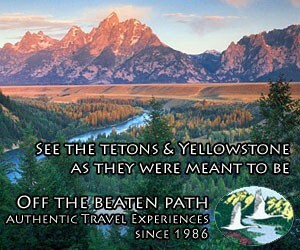 Known for white-water rafting and kayaking. Good fishing from boats and shore. 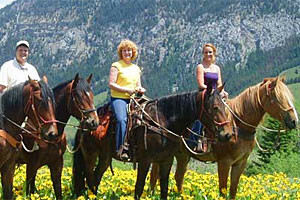 Located between Hoback Junction and Alpine, Wyoming. Bald Eagles often nest along the Canyon. The Snake River Canyon runs through the western edge of Wyoming, from the south end of Jackson Hole to Alpine, Wyoming and cuts a divide between the Snake River and Wyoming Mountain Ranges. 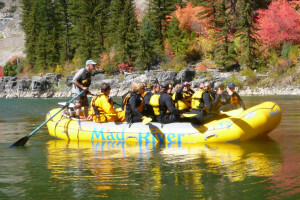 With great white-water rafting and kayaking and fishing and the picturesque treed slopes of the Snake River Canyon, a trip through this area is bound to be remembered. A favorite section of water for locals and tourists alike, the eight miles of whitewater between the West Table Put-in and the Sheep Gulch Boat Ramp has plenty of fun rollers, a few big holes and curlers and some mellow sections perfect for enjoying the beautiful canyon scenery. If you keep your eyes peeled high, you may even spot a bald eagle or two. 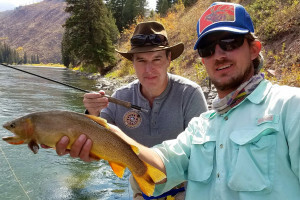 While the fishing on the lower, more floated sections of the Snake River Canyon don’t see plenty of floating anglers, the section from Pritchard Creek to West Table Creek has some great fishing, although the short but difficult trek from the road down to the river keeps many anglers away. 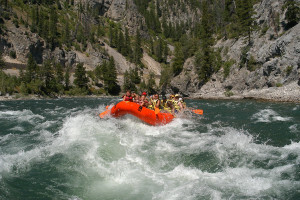 A drive through the Snake River Canyon on Hwy-89 provides opportunities to watch whitewater adventurers float below, birds of prey soar above and the wild scenery of the Snake River Canyon roll by. 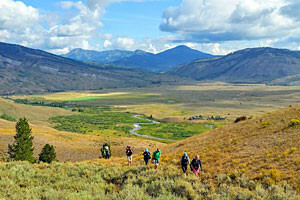 Or stop and enjoy a hike up Dog Creek or Red Pass Trail, two trailheads along the canyon. The Snake River Canyon, and Hwy-89, runs between Hoback Junction and Alpine, Wyoming. 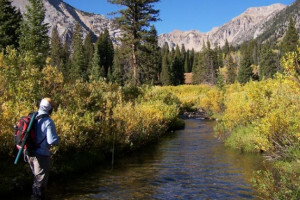 The Campaign for the Snake Headwaters is determined to turn the rivers and streams of the Snake Headwaters into Wild and Scenic Rivers.